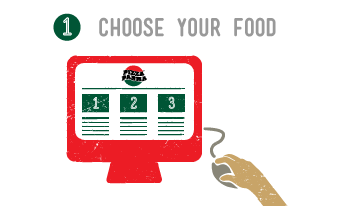 Click here to download the Pizza Parma Menu. Print out and saved the Pizza Parma menu to your device. 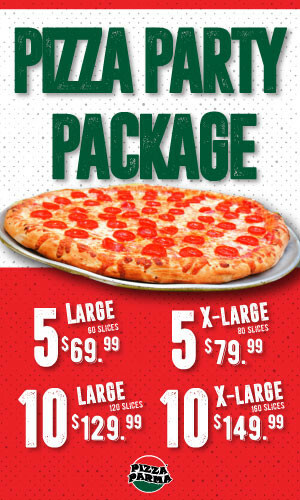 We can have the Pizza, Hoagies, Subs, Catering, Wings, Gyros, and more right to your door or you can come into our Downtown Pittsburgh, Shadyside or Upper St. Clair locations to dine in or take-out. Don’t forget to check out our lunch specials that end at 3 pm. 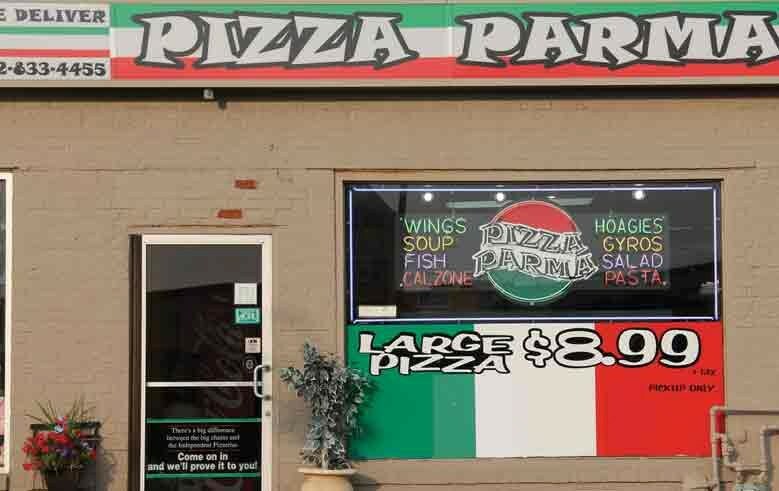 Pizza Parma Catering welcomes celebrations of all kinds, check out our menu and feast your eyes on the incredible deals we are serving up, directly to your desired location. 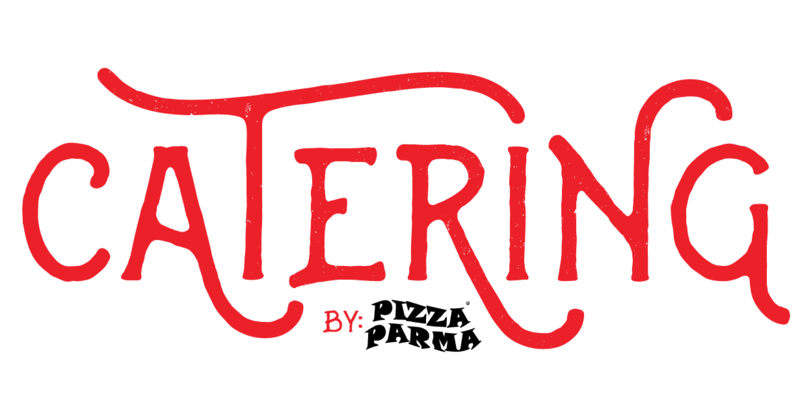 Pittsburgh Party & Corporate Pizza Catering of Pizza Parma provides quick and easy personal and corporate catering services all across Pittsburgh. 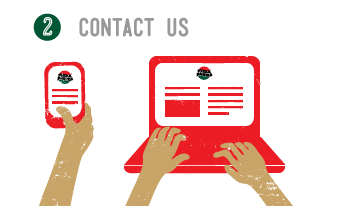 Whether you’re looking to host an event or just grabbing a group lunch, we have you covered. Our Italian catering options include pizza, pasta, appetizers, desserts and plenty of other finger foods for you to get your hands on. Three brothers Ty, Baris, and Ali started Pizza Parma in a Shadyside Plaza during their college years in 1998. After working for well-known pizza parlors in Pittsburgh, three brothers decide to open their own location and make their recipes the best of the best. Shortly after the second and third location followed. Now serving Pittsburgh for 15+ years in Shadyside, Downtown and Upper St. Clair. 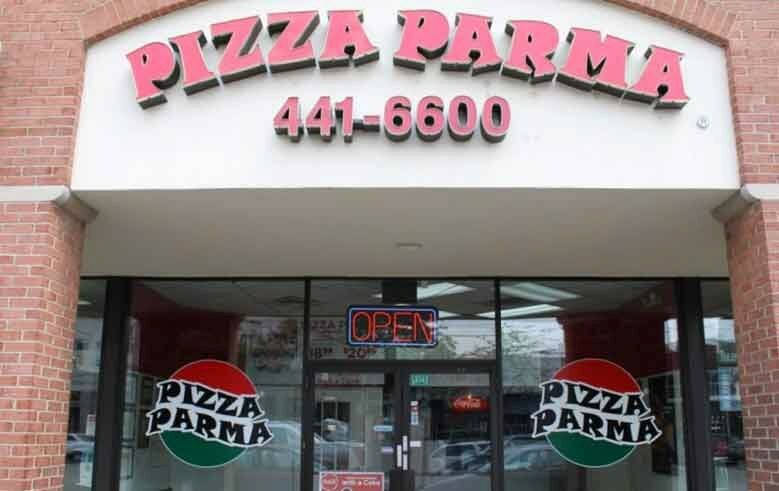 Pizza Parma stores are In Downtown Pittsburgh, Shadyside, and Upper Saint Clair. We are proudly serving lunch and dinner, seven days a week. 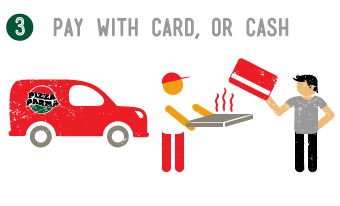 For your convenience, we offer dine in, take-out and delivery. Come in to one of our Pittsburgh are locations and let us serve you with the high-quality food on our mouthwatering menu. We only use quality Italian cheeses, local grown vegetables and fresh meats as our ingredient. There are no preservatives in our food and is made to order, just for you. 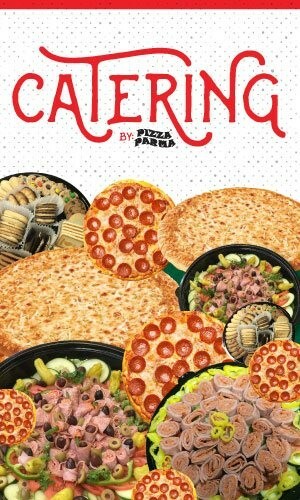 We cater all events and occasions, feel free to call in or place your order online. 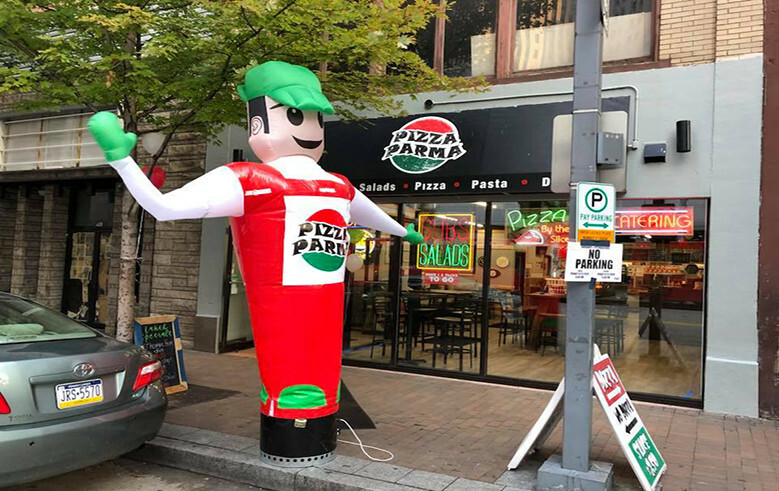 Come on in and our friendly staff will be happy to serve you some of the best wings, hoagies and our homemade pizza sauce made from natural tomatoes will give that memorable Pittsburgh Pa experience. Gyros cooked on rotisserie and calzones filled with finest Italian ricotta cheese. Our high-quality pasta selections are all made with our special homemade sauces. Also, Pizza Parma is the greatest location for Toasted Wraps in Pittsburgh PA. Pizza Parma is the only place to find toasted Wraps with melted cheese on top in Pittsburgh Pa! Don’t forget our soup selection consist of Lobster Bisque, Wedding, Potato Bacon, Chicken Noodle, Cream of Broccoli and Tomato with Basil. Some of our most sellers are Pittsburgher Hoagie and Pittsburgher Pizza. They are made just like how Pittsburgh Pa likes them with fresh and tasty coleslaw on them. Pizza Parma is now the winner of 23 “Readers’ Choice Awards”! Winner of Best Pizza from STAR FM 100.7 for the Shadyside location in 2013 and 3rd place in 2015 with South Hills location. We have 3 locations and deliver to over 36 communities in Pittsburgh Pa.
You want pizzas made with fine Italian cheeses, and we have it! We also offer 14 different mouthwatering flavors for our jumbo wings. Take home one or all our 20 inch subs (the biggest hoagies in Pittsburgh Pa) we bake them to perfection. 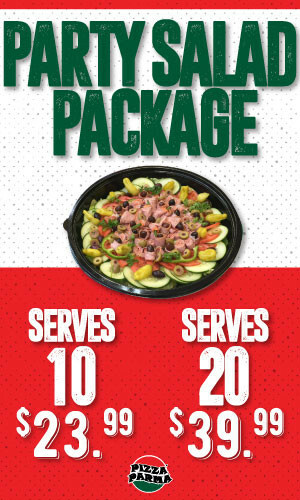 Try one of our big size gourmet salad, crisp great flavor it helps you count your calories.